Join us on Saturday, June 2 for Neighbors Together 2018. This is the 4th annual FREE event hosted by ANDP and a team of neighborhood leaders to help empower metro Atlanta community residents to transform their neighborhoods from the inside out. Strong resident engagement and leadership brings positive change to communities. Saturday, June 2, 2018 9:30 a.m. - 1:30 p.m. Advocacy: Our goal is to help you -- as community residents --- be as effective as possible in advocating for your interests with local elected officials. You will learn tools and techniques to make local government work for your community by increasing your voice and representation in government. Learn how to educate public officials about issues in your community, to ensure they consider and reflect your community's best interest, and to hold them accountable when they don't. Amplify your voice to advocate for change that improves the quality of life in your neighborhood. Linking School and Community: Healthy communities have strong bonds with neighborhood schools. Learn practical strategies that communities have used successfully to improve local schools through grassroots organizing and strengthening of school-community links. Get tips to help you and your fellow residents work with your neighborhood school by strengthening after-school programs, improving communication between parents and school officials, making the school more accessible to the community and making community resources more accessible to the school. Who Should Attend? This training event is ideal for concerned neighbors, formal neighborhood leaders, informal neighborhood leaders, HOA leaders and members, neighborhood associations, homeowners and renters, local business owners, neighborhood watch groups, faith and nonprofit organizations - and YOU! Neighbors Together 2018 is part of NeighborWorks Week. Each June, NeighborWorks America and its network of local organizations, including ANDP, mobilize tens of thousands of volunteers, businesspeople, neighbors, friends, and local and national elected and civic leaders in a week of neighborhood change and awareness. 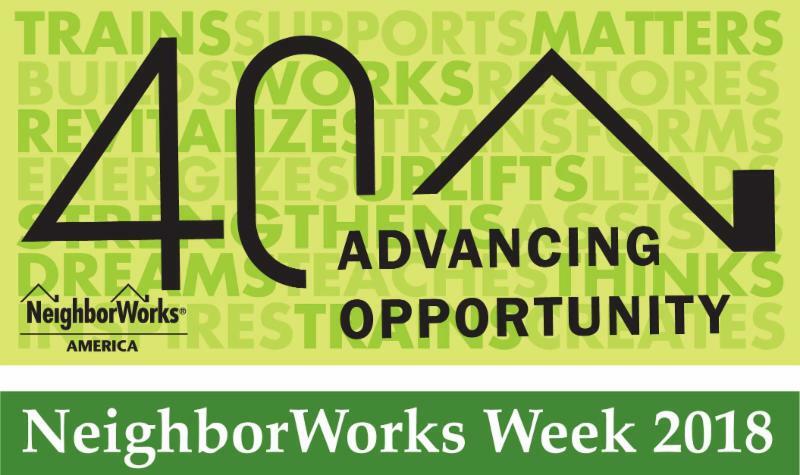 This year, NeighborWorks is celebrating is 40th year of advancing opportunity! For more than 35 years, NeighborWorks America, a national, nonpartisan nonprofit, has created opportunities for people to improve their lives and strengthen their communities by providing access to homeownership and to safe and affordable rental housing. In the last five years, NeighborWorks organizations have generated more than $27.2 billion in reinvestment in these communities. NeighborWorks America is the nation's leading trainer of community development and affordable housing professionals. More online at www.neighborworks.org. ANDP is a private, non-profit organization created in 1991 to promote, create and preserve affordable housing through direct development, lending, policy research and advocacy that result in the equitable distribution of affordable housing throughout the metropolitan Atlanta region. ANDP is a chartered member of NeighborWorks.